NYC Diamond Blog’s mission is to inform readers of all facets of the Diamond industry, including developments, and expert opinions from around the world. Here is an article from the UK written by Julian Knight and Chiara Cavaglieri. It appeared in ‘The Independent’ newspaper over the weekend. For centuries diamonds have been a symbol of wealth coveted by brides-to-be and collectors, but could these most precious of stones also prove the ordinary investor’s best friend? price of the best gems could jump as much as 50 per cent, according to gem trading company Diamond Manufacturers. However, such claims coming from firms involved in the trade should be taken with a pinch of salt. Prices have been driven up by demand from the emerging middle classes in India and China, the lack of major mining discoveries and, when it comes to the price of cut diamonds, the market is still tightly controlled by the likes of De Beers who have diamonds in store. If you have a magpie’s weakness for shiny things, there are three ways to invest in diamonds: you can buy the gems and store them to sell at a later date; you can buy shares in diamond-mining companies; or you can gain exposure via diamond funds. Holding the physical asset means you can set the diamonds into jewellery and make the most of its aesthetic quality until you’re ready to sell. Buy your gems through a reputable diamond trader rather than a jeweller who will add a retail mark-up of as much as 300 per cent compared to prices on the wholesale market. 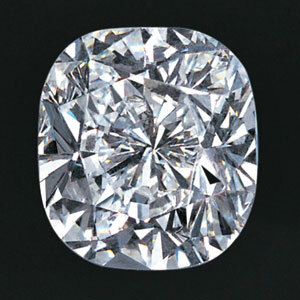 Vashi Dominguez, chief executive of Diamond Manufacturers, advises spending £5,000 on a quality stone and be prepared hold on to it for at least five years. “Each diamond should have come with a certificate from a laboratory which confirms its grade – the GIA is the best known and one of the most-respected labs, the Dutch equivalent, HRD, also gets mentioned. Other certificates will be less trusted when reselling,” says Adam Laird, investment manager at independent financial advice firm Hargreaves Lansdown.